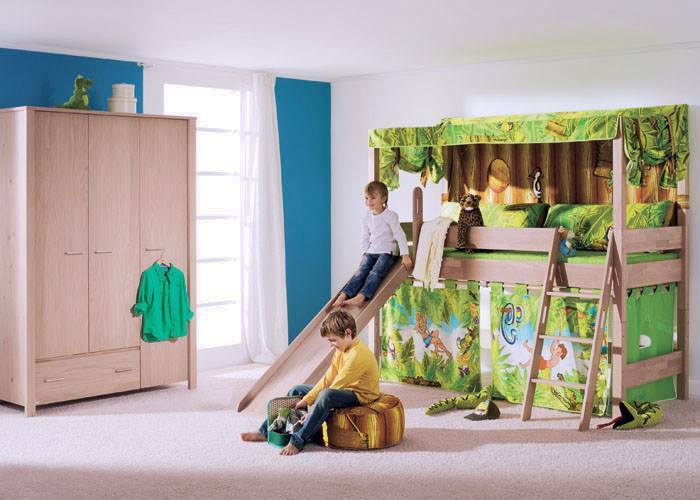 PAIDI offers a diverse range of high quality, ecologically friendly children’s furniture and beds that are thoughtfully designed to enrich the lives of children as they grow from toddlers to teens. The PAIDI collection comprises cots, and different styles of beds: cabin and pull-out types, play beds and bunk beds; wardrobes, height-adjustable desks, ergonomic chairs, and modular furniture pieces. All furniture is crafted from solid, PVC free wood including beech, spruce, birch and best-selling oak, as well as wood veneers and imitation wood. PAIDI only uses non-toxic paints and top quality raw materials such as cotton, polyester and blended fabrics.